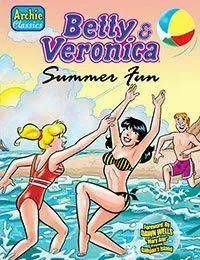 Cherish the innocence of summer days gone by with this collection of the earliest stories from the Betty &amp; Veronica Summer Fun editions of the Archie Giant Series! Whether chasing after hunky lifeguards, modeling the latest swimwear, or putting up with Archie and Reggies goofy rivalry for their affections, Betty and Veronica are truly the queens of Riverdale Beach! Reprints some of the best Silver Age stories from the first few years of Betty &amp; Veronica Summer Fun.